Disclosure: I was provided free tickets to Sea Life in exchange for my review. All thoughts and opinions are my own and no other compensation was provided. 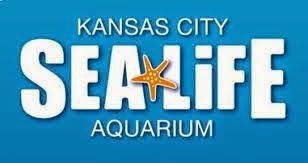 Sea Life Aquarium is one of the newest hot spots in Kansas City in the Crown Center area of downtown. I was pleasantly surprised at how easy it was to find using our handy GPS. When we arrived, we followed the signs to park at the Crown Center Mall. Take your parking ticket with you as you enter Sea Life and they will validate your parking for 6 hours (which is longer than any of the stores in the mall will validate for). The free parking was terrific so we could relax and really take our time and enjoy all of the rooms and activities. I was pleased to see this sign when we arrived. This means animals are well cared for. There are about ten different rooms where you can view different species of sea creatures. We couldn't believe how beautiful the school of fish was in the first room. At first, this viewing window was empty, then all of a sudden, a whole school of fish swam through. I like the shark tank and the tunnel. While it's shorter and smaller than the Omaha Zoo shark tunnel, it was still fun to be surrounded by sharks on all sides. The "touching" tide pool was very fun for kids of all ages. Rebekah LOVED petting the starfish. So did I! I didn't realize how hard they are on top when they are in the water. The underside is soft, but the top is definitely a protective skin. We also got to touch some sea cucumbers, there were shrimp--but they were too skittish to touch--and other animals in the pond. The staff member was very knowledgeable and answered our (endless) questions patiently and completely. With five museum buffs in our family, she earned her pay that afternoon. One of the things the kids (and their parents) liked the most was the Quiz Trail for kids. This is really meant for the 13 & under crowd, but Andrew was a good sport and did a quiz trail, too. Mostly, he helped his sister find answers without her realizing he was leading her to the answer. Good job! If you find all 10 of the trail markers and answer the questions, you get a prize at the end. The younger kids were thrilled with their prize - a medal from Sea Life Aquarium. Here are some pictures of the fish, the viewing tubes/bubbles, etc. There is so much to see and do--we had a great time. And even though we come from a city with a top zoo and aquarium, I was surprised at how much we learned and how fun Sea Life was. We didn't think it would compare to our zoo--but it was different. We had a terrific time and hope to have another Kansas City adventure at Sea Life (and Legoland--watch for that review, too) soon. In addition to all the rooms and the bubbles and tunnels, there are several VERY kid friendly areas. There's a movie theatre where you can watch and learn about Gertrude the Turtle (who we saw in a tank--she's doing well) and how they saved her. She was tangled in fishing line and ended up having a leg amputated. She's happy in the Sea Life Aquarium home. There's also a play area at the end where the kids had a great time. I didn't get any photos (they were moving too fast). Also a room where they can watch sharks from all sides and even look into the tank from a viewing platform above. That particular room also has Lego tables where you can add to the Lego Sand Castles. The kids had loads of fun. Would you like to save $3 per ticket on your visit? 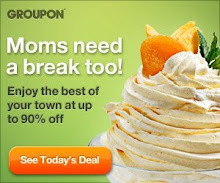 Be sure to print the discount coupon and take it with you. It is valid through 12/31/14 so you still have time to go and save.